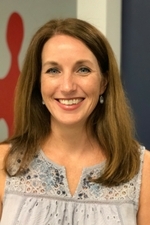 After earning a Business degree in Management from the University of Georgia, she started her working career as a flight attendant at Delta Airlines before spending several years as a Client Account Representative in the telecommunications industry. After taking some time off to start a family, Susan is excited to have joined this great team. In her free time she enjoys spending time with her husband and three elementary age children.